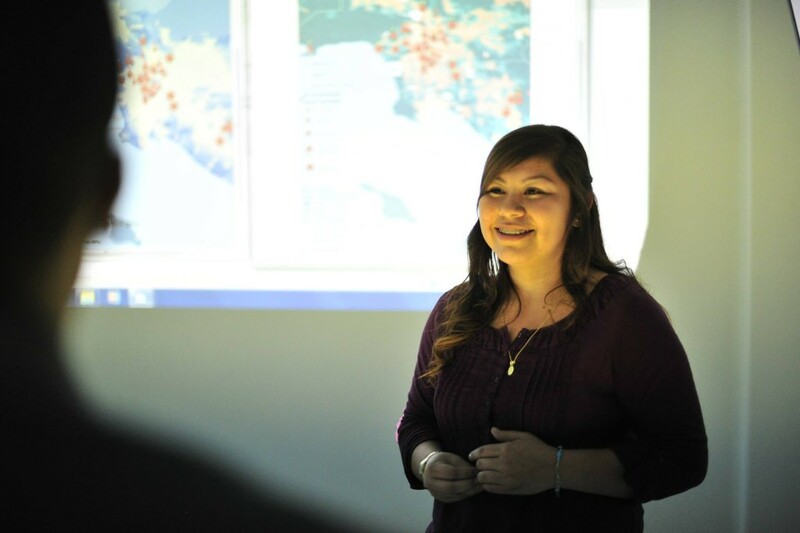 i.am.angel Foundation and Esri have partnered to launch the i.am ESRI Scholarship for Boyle Heights students who have demonstrated outstanding work with Geographic Information Systems (GIS) and mapping technology. Esri is an international supplier of GIS software, web GIS and geodatabase management applications. Since 2013, i.am.angel Foundation and ESRI have partnered to provide ArcGIS Software to the students of Roosevelt Math, Science & Technology Academy in Boyle Heights, Los Angeles, to incorporate mapping and data collection into research projects. The i.am ESRI scholarship will assist Roosevelt students who plan to continue their education in college or vocational school programs. Renewable scholarships are offered each year for full-time study at an accredited institution of the student’s choice. The program will be administered by Scholarship Management Services, a division of Scholarship America. Esri Founder and President Jack Dangermond shares a passion for bringing STEM education opportunities to students in underserved communities. We’re grateful for the commitment and support he has shown to the students of Boyle Heights!